Ask us about our Kids’ Care Free Program! Free dental care for my children? You must be kidding, right? Why is Paris Family Dental doing free dental care? Two main reasons. 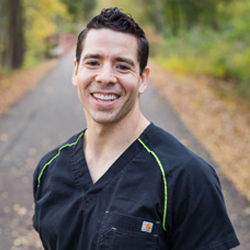 First, Dr. Del Toro enjoys working with children and really wants them to be a part of his practice. Second, Dr. Del Toro is committed to finding different ways he can give back to the community. Your family gets free dental care and we get to care for your family. It’s a win-win for both parties. What are the basics of the Kids’ Care Free program? Basically, the routine preventative care (exam, cleaning, bitewing x-rays) is at no cost to your child(ren) as long as the parent(s) or guardian(s) is a regular active patient in our practice. For further details and to schedule your child’s free dental care, see below or call our office at (903) 732-0061. *Children must be under 18 years to receive free preventative care (exam, cleaning & bitewing x-rays). There is a maximum of 4 children free per family (2 per active adult guardian). If the child is covered under an insurance policy, insurance will be billed and any costs beyond the insurance payment will be adjusted off the account in the form of a discount. If the child is not covered under an insurance policy, the out-of-pocket expense is $36 to cover the fluoride treatment provided and all other expenses will be adjusted off the account in the form of a discount.